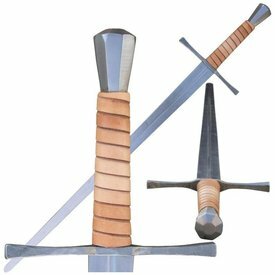 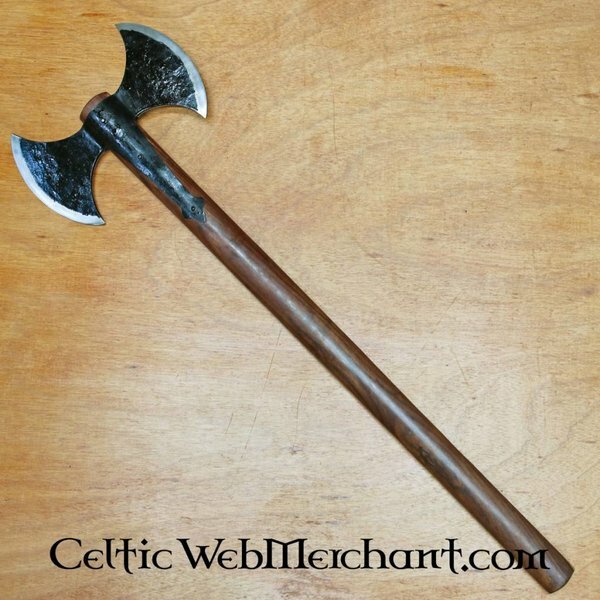 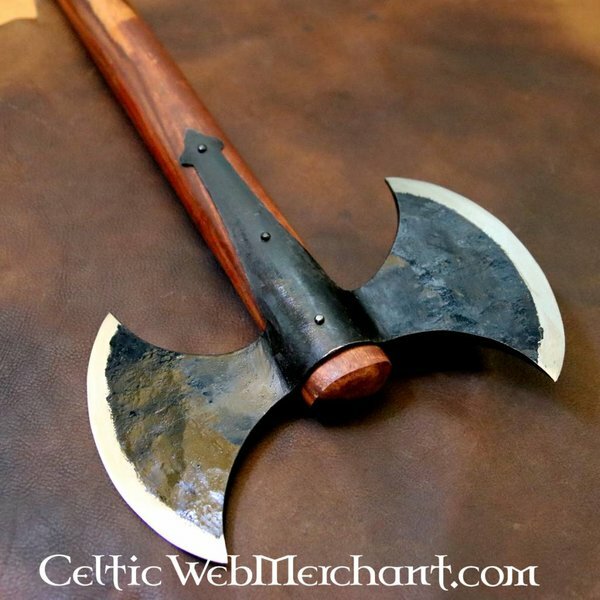 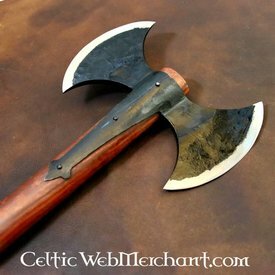 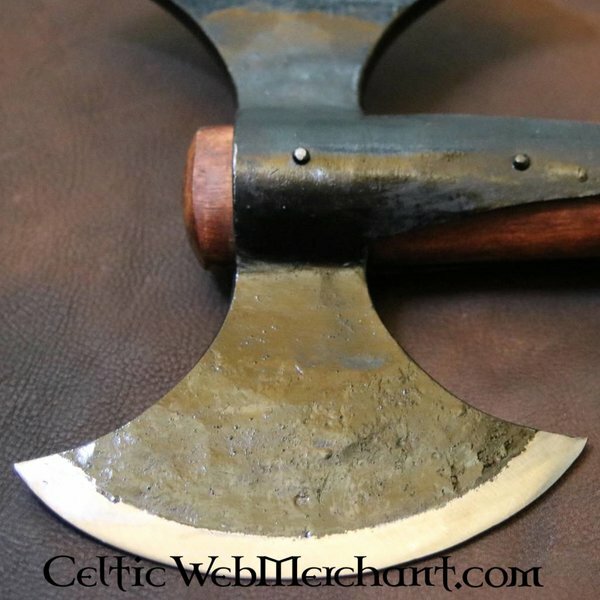 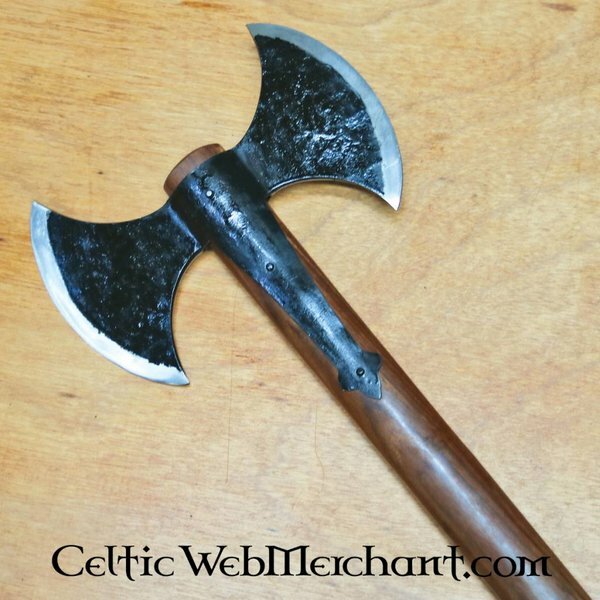 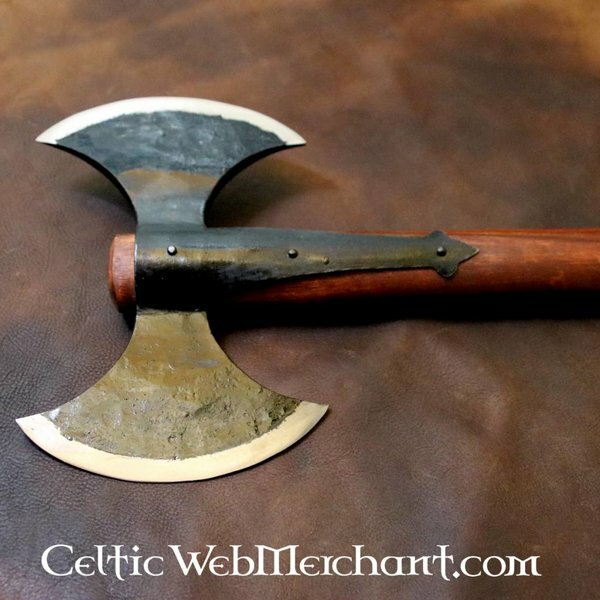 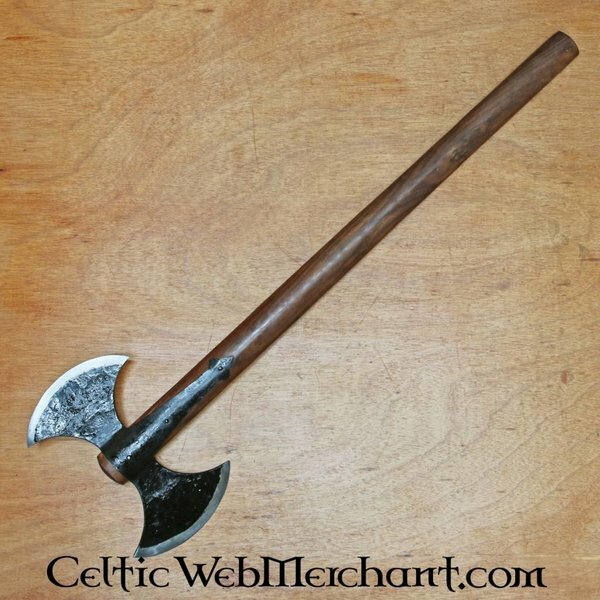 This double axe has a head of hand-forged carbon steel and a solid wooden handle. 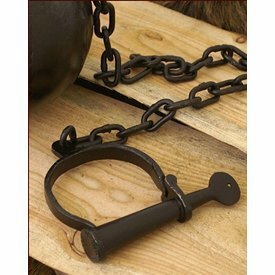 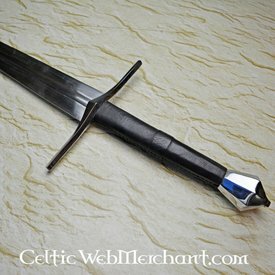 It has a length of 85 and a width of 28 cm. 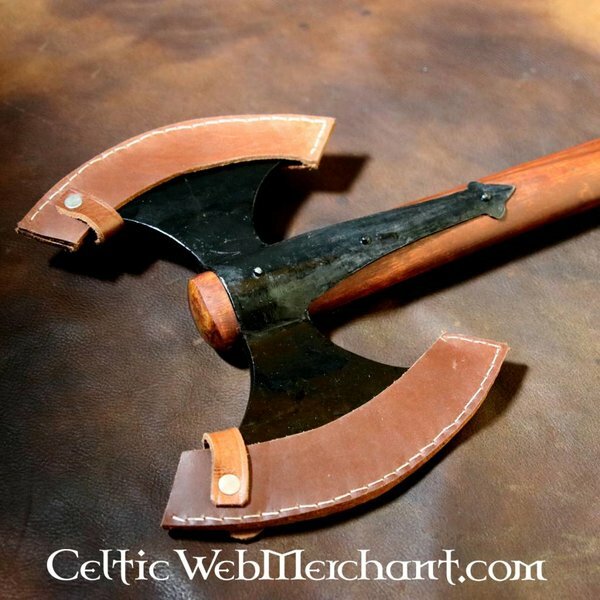 The axe is delivered including two leather covers for the heads. 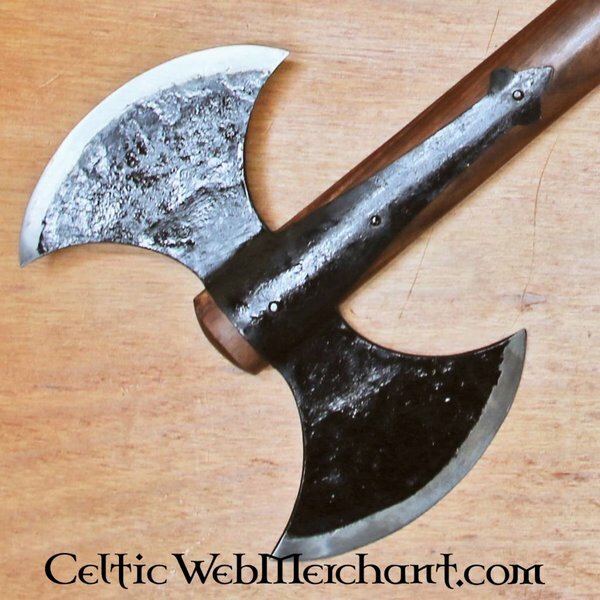 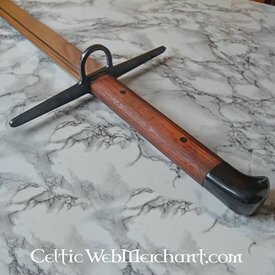 It weighs 2,1 kg, the heads can be delivered sharp.